Anaxes, this lush planet was the birthplace of Zeak Dystiny and his sister Kati’ara. Although the two could be classed as Human Anaxsi, only one child could be effectively given this clarification. The Dystiny family was part of a long line which contained the Theelin species. Even though the Theelin became virtually extinct due the mutations, the family knew of their ancient descendant Theelin traits to – in extremely rare instances – appear in an offspring. These thin traits were present within Zeak, making him a Theelin Human Hybrid but this was not as evident until he became of age. With their father and mother, Durran and Sarese, the two lived like an average family in a regular society. Their income was suitable and their job performance was above average. The father had once served in the army for a short duration before taking part in and deserting a small-scale campaign. Years after receiving punishment for this, he took up a career which seemed more to his liking; the security force of Anaxes. Zeak’s mother has a career in journalism and she was well known for having a closed mind and biased views on specific topics. Unlike many families who praised the work of the Jedi and their skills, Sarese was one of numerous in the division which had the complete mirrored ideal to those who favoured them, a dislike for Jedi and Force Sensitives in general. Their belief was simple and clear – Force Sensitives and those who used the Force were the cause of countless problems in the galaxy and its populace had encountered. At the home front, Sarese stressed these ideals. Zeak and Kati’ara tended to shrug off whatever their mother said but from time to time for a split second, they wondered whether there was actually truth in her words. Regardless of this, like all children they focused on more entertainment, carefree events and issues. During their days at their local school they both took different paths. Zeak usually focused on entertaining his friends, socializing and anything but quiet. He found it easy in his environment as he was surrounded by childhood companions. Kati’ara aimed to work hard so she would not have to work as hard at home, unlike Zeak. When they were not at school or busy, the two could be found either in one of the many parks which existed on the planet or gazing at the Keffis living in the rich emerald fields of Anaxes. Although they felt they did not experience nature as much as they could or should have, both were fans of the outdoors. Zeak felt connected to it, it emitted a soothing feeling and blossomed a sense of freedom, but he also found enjoyment in the busy and madness of an urban setting. Durran, Zeak’s father, was a stern and stubborn man. He forced his son to overcome the problems life presents the way he did. Despite deserting the army years ago Durran upheld the ideal that the best way to deal with trouble – in Zeak’s case this would usually be homework, school and friend issues – was to sort them out alone with no aid and persist in doing so. Whilst Zeak managed from time to time to successfully overcome common peaks of troubles at school and at home, such as dealing with a schoolmate who he thought was being rude to him or one of his friends which usually ended the way Zeak did not expect. This consequently increased his independency and the little skills he had and ultimately influenced his wellbeing. Zeak by default undertook various tasks alone, refusing or neglecting the chance to work with or get help from others. As a result the complete opposite of what should have happened was produced, his confidence became withered. In spite of being able to independently work alone, well or not, he seriously lacked confidence in himself in various fields. In his hearts of hearts, although tending to ignore it, Zeak felt that he would need to develop teamwork skills and remove this consistent trait of independency at some point in his life. His parents were not entirely concerned by this, seeing this as a normal life of a young child. However, they both felt that their children were limited and missing out on ‘opportunities’. Sarese’s brother Kris owned a public transportation system which brought people to and from Anaxes. Upon consideration, and the chance to be able to freely pursue their own careers carefree, they placed their two children under the care of Kris when they were both six. Zeak and Kati’ara spent a year or so on Kris’ ship. There they were taught when possible but were also forced to work for their free food and travel aboard the ship. Although they were supposed to work, which they usually did such as aiding Kris’ workmates, the two would typically be found playing and engaging with other children on the ship keeping them entertained. Kris was satisfied with this as it tended to produce fewer problems during the journey. Aboard a ship destined to Yavin IV, Zeak and Kati’ara were in engaged in their daily duties of fun, involving tag and other childish games. Work was the last thing on their minds. At some stage in their game of tag Zeak slammed into a person who was on the public observation deck of the ship. Zeak fell back expecting a harsh reply, but to his surprise the stranger addressed him in a calm manner whilst helping him up. He started to inquire about the boy. Zeak answered few of his questions along with his sister who had rushed to his aid. After a short conversation the siblings left the stranger, who was soon accompanied by another dressed in the same manner. They conversed with one other before going to see Kris to inquire some more. Upon meeting Kris the two strangers explained that they were Jedi and investigated about Zeak and Kati’ara. It became clear to Kris that the two Jedi had seen a spark of something special in his nephew and niece, asking whether he was the father and what powers he had over them. When this was discussed the two presented Kris with an offer. Seeing how the brother and sister had nothing real to lose, and that despite him accepting the two on his ship to ‘reap the benefits of the opportunities laid before their feet’, he doubted the actual gains of the two being with him. So he informed Zeak and Kati’ara of the proposition, they both accepted. Each had their own aims in mind, or would soon produce such. There was a twist, however, they would both have to be split up and sent to different academies. Despite the arguments and resistance, Kris forced them to part ways. With the two Jedi Kati’ara and Zeak went to Yavin IV. Zeak stayed and Kati’ara left. There he was introduced to the Jedi Order. At the temple Zeak was started a new life, one which he had never experienced before. To be split further from his family, his sister and then to be dropped into an environment of the unknown was an experience he would not forget. Zeak forced himself to expand and try to adapt, in doing so he opened himself to new friends and new relations. It allowed himself to fit in and feel at ease. During his time as a Hopeful he met various people of all species and different personalities who would soon become his friends in due time. Slowly his relations grew with the young Twi’lek Fane Ornn’ila, the Human Jacen Ginos and the Miraluka Daereon Daimon. The four would usually be found together, either sparring, talking or watching trying to learn what they could. They spent their time trying to get to know the Knights, Padawans, Initiates and other Hopefuls at the temple. During this time various situations, events and lessons aided to Zeak’s understanding of the Force and what a Jedi was. It gave him an understanding of the life he could live, if he was committed and willing. Soon enough after a long wait, on 269.30 Zeak and many of the other Hopefuls and his friends were tested by the High Council. There Zeak was posed many questions and then initiated alongside his friends. From that point on, he explored a new frontier of his life. It was a greater test of his skills and knowledge. His friends and those who had now become Knights encouraged and guided his path in learning the ways of the Force, its secrets and the skills required to become a more effective Jedi. As a Jedi Initiate he continued training and socializing with others, trying to improve himself and adapt to the difficulties that he faced as he progressed. Dystiny attempted to attend every class he could, putting in as much effort possible. His studies advanced as did his knowledge. As Zeak became of age his personality and mindset changed. Not only did he change, but others and the temple itself started to transform itself around him. Others became Initiated, he met new people and friends disappeared and became different. Zeak in his early stages of an Initiate witnessed two ceremonies of two Jedi who had become one with the Force. To his disarray, he was unsure as to how to feel. Whether he should feel happy that someone has become one, or sad that they had departed. Despite knowing how he should feel, Zeak did not appear to be as hard hit by the deaths compared to others around him. Zeak put this down to the fact that he did not know the two who had passed a great deal and as such he could not connect with them as much. However, Zeak evidently learned from these two events, and kept this knowledge close to his heart. His and everyone else’s lives eventually carried on. Most training he learned came from Aslyn Denethorn, the Jedi Knight, who never ceased to put Zeak’s and his companions’ telekinesis skills to the test. Zeak became concerned about two of his friends, Daereon and Jacen. 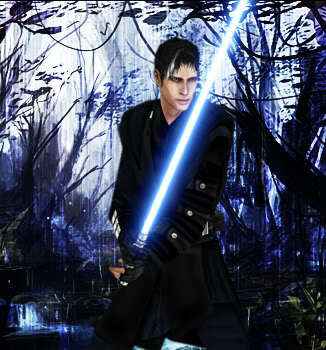 Jacen became more reclusive and Zeak felt he was avoiding him. Remembering his past Zeak left him to try and understand his own problems, as he felt nothing else could be done. Daereon’s issue became more apparent, that he felt as if he was falling behind and losing his connections with Zeak and Fane. Worried by this Zeak did his best to reassure Daereon that he was always there for him and that they would always be friends. Zeak felt that when someone really needed help, he would do his best to aid them, as there would be times when he would want the same. The time came when a barrier that blocked Zeak’s life disappeared; on 271.11 he became a Padawan-Learner. His work had paid off and what he had hoped for had come true. Aslyn Denethorn informed Zeak that he had requested to take him as his first Apprentice and that the Council had approved it, and asked whether Zeak would accept it. He accepted, excited about the new changes and new possibilities opened to him. Upon becoming his Padawan, Aslyn gave Zeak a Lightsaber hilt which once belonged to him and one of his Masters, Master Elusido. To carry on the tradition, Zeak was to train with this blade until he created his own and then keep it until he took on his first Padawan. Zeak became a Padawan-Learner at the same time Fane became apprenticed to Kael Sekura. The two were eager about the future ahead of them and the dreams. Zeak continued to work hard and advance as best he can. Like most, he encountered issues and problems which he and his Master addressed and worked on to improve. His telekinesis improved dramatically very early on in his stages as a Padawan and he started to embark on telepathy and the saber arts, being given introductions to each area before heavily learning about each one. However, the temple became less active, the number in classes was reduced and even he could feel that his Master was becoming disheartened by this, but never considered something which would eventually happen. To Zeak’s delight Daereon became a Padawan to Ergo Stomi, however, this would be for a very short time. Zeak, who felt very awkward about it, tried to restore confidence in his friend again, even though he knew there was little he could do. Daereon was not left Masterless for long, as he was soon taken by Aeon Xarbon. In a sudden turn of events Zeak, who was trying to understand how he could help his friend who had became Masterless so quickly, found out after yet another night of troubled sleep, that he was now placed in the same position: Aslyn Denethorn had suddenly left. On 272.14 Zeak was left Masterless, feeling crushed, confused, embarrassed and more so abandoned. It was one lesson to learn how to deal with a friend who had lost his Master, which he was still in the process of learning, but it was another in dealing with being Masterless yourself, especially at the same time. His sleep issues continued afterwards, being flooded with distant memories, dreams and promises. To Zeak’s surprise, friends and Knights offered their warmth and reassurance throughout the following days, making him feel more wanted, that being Masterless was not the end as long as he continued working hard. It was not the end as long as he did not want it to be. Zeak did his best to push forward, still dealing with the issue in his mind and in his heart, but never outwardly showing it. All he could do was move on and indicate that he was doing so to the best of his ability, to others but also to himself. Despite Aslyn returning so quickly and making Zeak feel bewildered, he carried on through his Masterless days trying to obtain one of his many goals. The days after these seemed to be longer, dragging on almost. Around him he saw smooth progression whilst when he looked at himself, he saw advancement but it was crippled, limping forward. The year and a half or so which followed is one Zeak will be unable to forget so easily. Regardless as to whether it seemed slow or not, various events occurred ranging from odd events happening at the temple involving Howlers and flashing lights to strange visitors. This alongside other vivid situations filled the gap. Through this time Zeak attempted to improve himself and not himself to fall behind. This all built up to the experience on Kashyyyk, when the Order visited the planet to celebrate Life Day. During the time they spent on Kashyyyk he and his friends enjoyed themselves, climbing and exploring the new area and took in the sights. The end however, was unexpected. A situation arose involving Daereon who went missing for a while. Zeak, Fane and eventually Sebastin started a search for him. In finding Daereon it appeared he had changed and was quite aggressive. Within a short space of time a lot happened, ending with Daereon becoming his normal self. The problem did not go away, as the three soon found out after they had returned to Yavin IV. To an extent, what followed from this occupied a large portion of Zeaks life and had an effect on him as a person. Coupled with his own worries, Zeak had to support Daereon, his ever growing problem and in the search for enlightenment and a permanent resolution. Whilst taking an active role in trying to solve this situation, Zeak was doing to the best of his ability to help Fane through her own ordeal as she had become unwillingly entangled. Days were generally filled with sadness, emotion and a desperate search for hope. As the problem intensified Zeak persisted tirelessly in doing whatever he could. Aside from managing to lend what positive support he could to his friends, Zeak’s Masterless days came to an end. At some point in time Master Denethorn became reinstated into the Order then eventually was approved to take Zeak under his wing again. This boosted Zeak’s confidence and had encouraging effect on him. Yet the problem with Daereon continued and upon coming to the point of near-break downs, personal threats, a trip to Kashyyyk was planned which resulted in some progress. The troubles did not go away but finally ended one night when the presence left Daereon for good. At that point the problem ended there and then, ceasing to arise again. Since then, Zeak and his friends’ lives started gradually to return to their normal forms. The three had learned from the experience and were changed by it. The whole experience from start to finish, to pre-beginnings and post-event, to an extent is unforgettable. A multitude of events happened within Zeak’s life in a relatively short amount of time making it difficult to record everything. To this day however, slightly older, changed, more prepared and more understanding, Zeak carries on with his friends and with his training under Aslyn Denethorn.